When we think of traditional Texas perils, high wind, hail, hurricanes and wildfires are top of mind. But, as Texas has gone from one earthquake “felt” in 100 years to more than 70 in the last ten, awareness is shifting to include seismic events too. In fact, a recent USGS report identifies 17 areas within eight states with increased rates of induced seismicity. That’s why we asked Dr. Michael Blanpied of the U.S. Geological Survey (USGS) to join us for our March 31 Texas State Collaborative (TSC) meeting in Austin where he very capably addressed the issue of “potentially induced seismicity”, and seismic activity in general. Dr. Blanpied explained how USGS creates and updates seismic hazard maps every six years. This is essential information as seismic design ratings used for building codes are based on these maps. Through the 2008 hazard map update, earthquakes caused by industrial practices were removed from the analysis if certain conditions were met. This eliminated most earthquakes associated with mining, oil and gas production, and fluid injection. This was deemed to be the appropriate approach for designing long-term building codes, so now USGS is developing models to forecast the extent of hazardous ground shaking in the areas of recorded, significant, increased seismic activity. A final hazard model is scheduled for release at the end of 2015. We had a vivid reminder of the relevance of Dr. Blanpied’s presentation on May 7 when a 4.0 magnitude earthquake occurred 30 miles southwest of Dallas in Johnson County. In the aftermath of this earthquake, the Texas Railroad Commission required the operators of nearby disposal wells to perform testing regarding the effect of wastewater injection into subsurface rock formations. 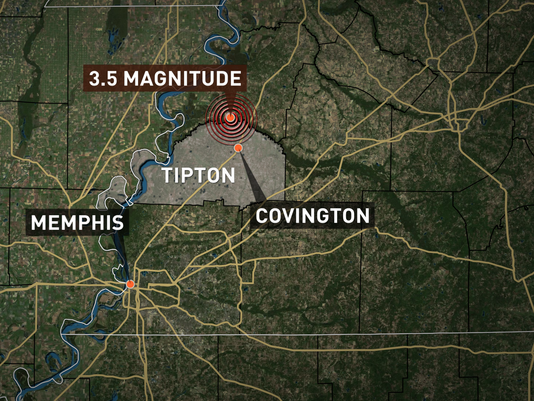 Thankfully, the earthquake caused no injuries, but it did cause minor damage to the foundation of two mobile homes. And Texas isn’t the only state to experience increased seismicity. The Oklahoma Geologic Survey identified 5,415 earthquakes in 2014, and this tally omits many smaller earthquakes. The Central U.S. has seen a hundred-fold increase in earthquakes to the extent that Oklahoma now exceeds California in earthquake activity. Yes, you read that right. This issue is driving complex scientific and social questions, especially as credible studies have now linked seismic activity to wastewater injection. However, our focus is not on causation, but whether or not the built environment is prepared regardless of causation. Our TSC initiative is dedicated to helping Texas address shortcomings in the existing building code system, so do we now add earthquake to the mix? If so, where do we begin? We are confronting a compounding natural hazard problem, but we cannot take our focus off the traditional perils either. The same evening of the 4.0 magnitude earthquake on May 7 in North Texas, at least two confirmed tornadoes touched down with severe weather continuing into the weekend. This example represents a growing challenge facing disaster resilience advocates across the globe: what is the ideal mix of building science to address earthquake, high wind, and hail too? The issue came up last year during our public awareness work with the Virginia Department of Emergency Management. Like Texas, Virginia has a coastline vulnerable to hurricanes, and residents have experienced deadly high-wind events, including tornadoes and the 2012 Derecho. In 2011, they experienced a 5.8 magnitude earthquake in Mineral that is considered the “most widely felt earthquake in U.S. history”. Even so, high wind is still the most common concern. That’s why we worked to identify a “two-for-one” building science solution to drive our messaging. This video is the result of our effort and highlights what families can do to mitigate against both high wind and earthquakes. It is focused on one concept—a continuous load path, or a well-connected home where the roof ties to walls and walls tie to the foundation. The building principle is not new, but talking about it for high wind and seismic safety in the same conversation is atypical. Texas and Virginia share a similar challenges regarding the need for integrated hazard mitigation solutions, and they are not alone. With or without induced seismicity, earthquakes can occur nearly anywhere. The same goes for high wind. This uncertainty increases our resolve to find solutions that work for every location. We must build in a way that adequately addresses risks, even when they overlap. Delivering on multi-hazard mitigation solutions will challenge the disaster-resilience community, but we have the right team in place. Let’s give families options that fit their reality even if it’s complicated. Earthquake Safety Messaging: Stand up. Speak up. Spread the Word. Drop, Cover, and Hold On is the official message to families in earthquake-prone areas because we do not want people outside when building exteriors, roads, or even bridges may collapse. And the recent magnitude 6.0 earthquake that rocked California’s Napa Valley is a sobering example of why. Experts agree that if the Napa Valley quake had struck at 3:20 p.m. instead of 3:20 a.m. that people who are typically dining, shopping, and walking near the historic downtown buildings would have been injured and likely killed. Even so, more than 200 people were injured in Napa, including a young boy who was struck by debris from a collapsing chimney. When an earthquake occurs, we in the disaster safety movement know that we cannot drop out of sight, take cover, and hold on to the hope that the current crisis, or next one, will pass without severe damage or injuries. It’s exactly at those times—the days and weeks immediately following such events—that we stand up, speak up, and spread the word. We do a good job of pushing the safety message out before the earthquakes strike. For example, the Great ShakeOut drills reach millions across the globe annually. But, it is essential that we also quickly deliver messages across the U.S. immediately after an event because that is when we have the public’s rapt attention. It’s human nature that when we associate any message with a real event, we listen better, learn more, and remember. That is why we leverage the “teaching moment” after a disaster by delivering messages about how to be safe and resilient. I was gratified to see how many news organizations shared the information in the advisory that we sent out immediately after the Napa Valley earthquake. We got the attention of people in states outside of California by highlighting the U.S. Geological Survey maps that indicate 42 of 50 states have a reasonable chance of experiencing a significant seismic event during a 50-year span, which also happens to be the lifetime of a typical building. It is tempting to remain quiet in the aftermath of any disaster out of respect for those affected, but if we did, we’d lose one of the best opportunities to motivate the public to take action. In earthquake zones, we want people to question how their building was constructed. Do they enjoy the safety of modern, model building codes and construction practices, or should they start planning to retrofit? Moreover, once they determine if the structure is sound, we want them to undertake nonstructural mitigation through simple, inexpensive measures like securing ceiling fans, chandeliers, bookcases, heavy objects, and breakables. And consistent with the common occurrence of post-quake fires like we saw in Napa Valley, we want business owners and residents to learn where and how to shut off their natural gas supply. When the earthquake fades from the headlines, many residents, even if physically and emotionally shaken, tend to think that it won’t happen again. They go about their lives, as if they were somehow made safer by the fact that a rare disaster event had just occurred. That may be a natural reaction and understandable coping mechanism. And sometimes they are right. But sometimes, unfortunately, they are wrong. That’s why we must stand up, speak up, and spread the word until everyone understands why.